The Source phpFox theme is a clean black and white template with no fixed width, instead the responsive CSS will adjust the the size of the screen viewing the site. It also has larger text and hundreds of new icons. This pack has been approved on the phpFox website too! 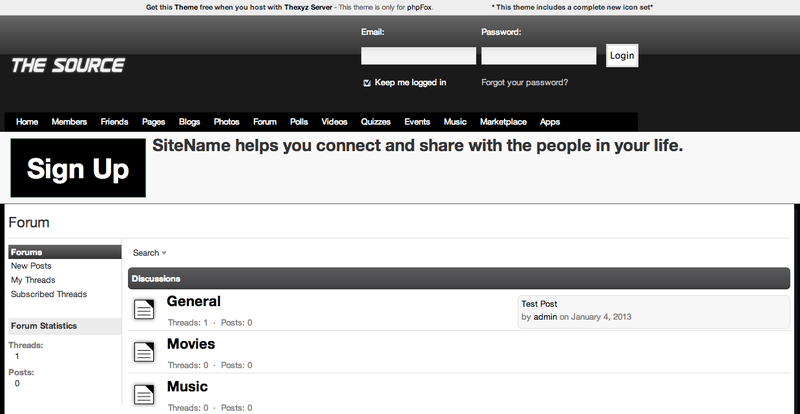 I was extremely pleased to find this theme and I have you book marked to check out new stuff on your web site.